Louis Vuitton has teamed up with renowned New-York based artist Jeff Koons to create a one of a kind collection that marries fashion and art. Titled 'Masters', the collection features popular LV bags (the Speedy, the Keepall and the Neverfull) with reproductions of great works of art by Jeff Koons. These include Da Vinci's Mona Lisa, Van Gogh's Wheat Field with Cypresses, The Tiger Hunt by Rubens, La Gimblette by Fragonard and Mars, Venus and Cupid by Titian. The collection also includes keychains and scarves. "Pushing its know-how to new limits, Louis Vuitton has employed the most advanced techniques and craftsmanship to faithfully reproduce the artworks on the canvas of the bags. 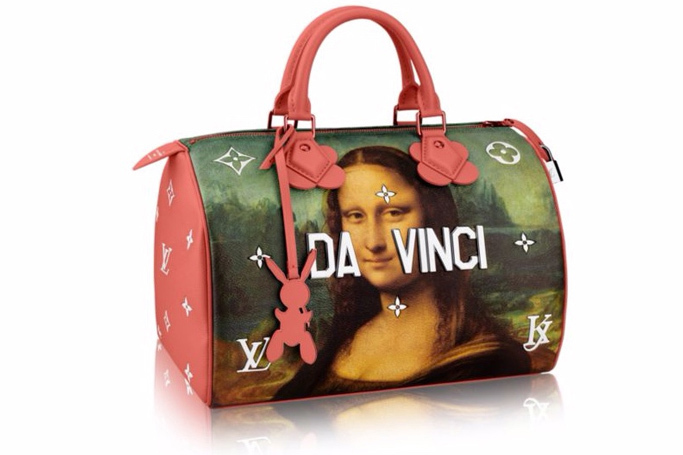 By representing these celebrated pieces on Louis Vuitton bags, Koons once again invites viewers to consider these works anew, opening the museum to the world and encouraging us to experience the old masters in novel ways," said the French fashion house in an official statement. The LV x Koons collection drops in select Vuitton stores starting on April 28. Prices range from $585-$4,000. Check out all the pieces from the collection below.